“Anitour” travel agency was founded in 1996, by Volodia Arushanyan, adviser of the head of Shirak region. 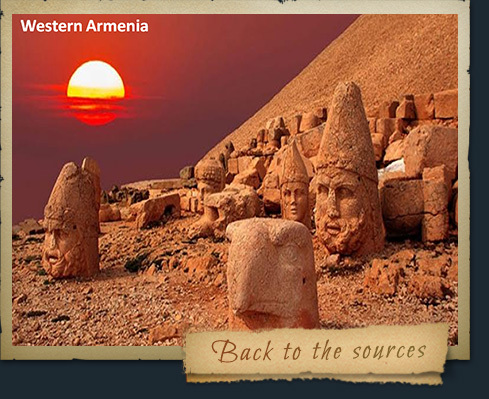 It is the first travel agency to organize tours to Historical Armenia or Western Armenia. Due to studies and negotiations we have acquired an opportunity to visit cities which are so dear and important for millions of Armenians. Now you can visit Ani, Kars, Bayazet (Daroink), Berkri, Van, Mush, Erzrum, Basen, Artvin, Ardaghan, Adana, Aintap, even to ascend Mount Ararat. Thanks to the experience of the stuff the company can organize interesting and original tours. 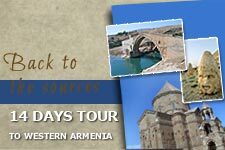 We also organize pilgrimage tours on the occasion of different events of Armenians. The fact of being the first and besides the tours perfected by years has already become preconditions for unexceptionable quality guaranteed by the consistent control and management of the company. By its activity “Anitour” has opened a way to a number of other companies which represent in the market with similar suggestions. The above mentioned fact is also joyous for “Anitour” since we first and foremost give priority to the mission we serve with our work. “Ani tour” travel agency cooperates with reliable partners. Tours to Historical Armenia are the main profile of the company. 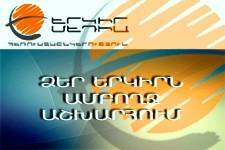 “Anitour” also performs awarding ceremonies to Armenian eminent characters in sport and culture. Our main goal is sowing patriotism in our youth through the ways of taking part in our historico-cultural tours, getting acquainted with Armenian architecture and history. All the tourists that have taken part in the tours of “Anitour” become good friends and ask for taking part in the other tours. Our aim is to do everything with high quality and to get the warmest marks from the tourists.